Dallas Personal Trainer - The most basic starter exercise for building up towards doing full pushups. Very commonly used by Dallas personal trainers. After mastering this exercise, move on to Bench Pushups. These can be performed on anything that is the correct height for your current ability. An adjustable squat rack or Smith Machine is often the most convenient because they are easily adjustable. Place your hands on the bar somewhere between 2-6 inches outside of your shoulder width (depending on where you feel strongest and what is most comfortable to you). 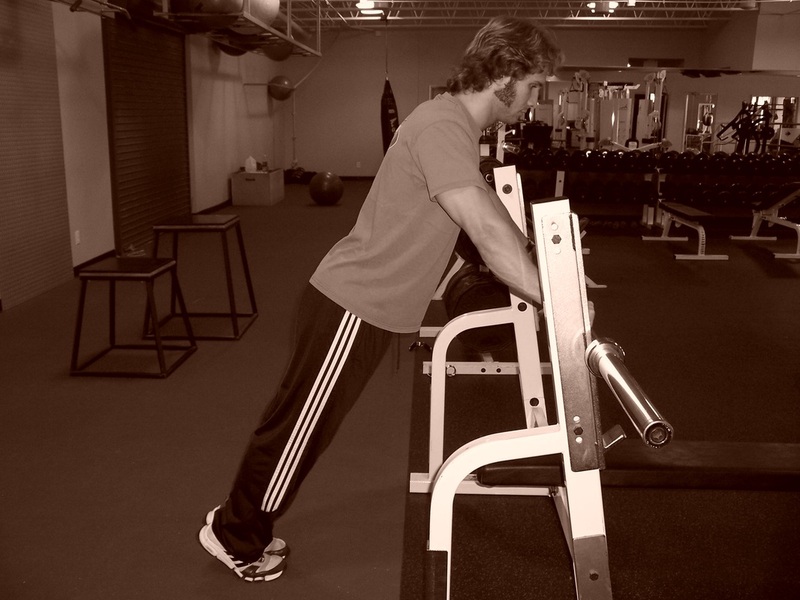 Get into a pushup position by putting your feet several feet away from the bar and stand on your toes (this should put you at about a 45 degree angle). Pull your shoulders down and back and tighten your lats (the muscle in the back of your armpit). Keep them this way throughout the entire exercise. Place your body in a straight line from your shoulders to your heels, making sure that your hips don't lift up or drop down. In order to stay straight, your "core" muscles must be tight. Do this by tightening your abdominal area as if you were bracing for a punch. 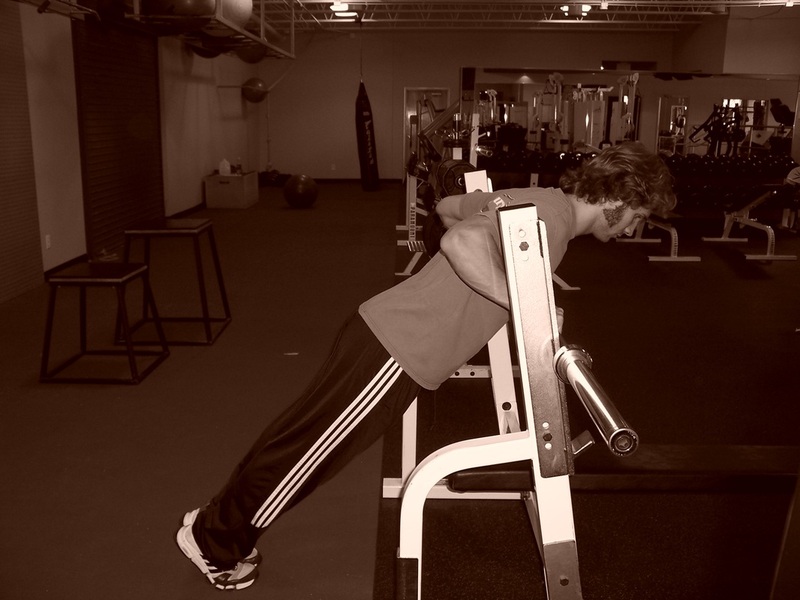 Lower yourself until your chest lightly touches the bar and then press back up smoothly. Press yourself up until your elbows lock out and then immediately lower yourself into the next rep.